In the old Laurel and Hardy movie, “Saps at Sea,” Oliver Hardy suffers from a stress-related disorder known as “hornophobia,” which turns him into a chest-pounding lunatic every time he hears a horn. This is unfortunate because Ollie works in a horn factory. On the edge of a nervous breakdown, a doctor prescribes goat’s milk and “plenty of fresh sea air.” Unfortunately, Ollie also hates the open sea so decides with Stan to vacation at a boat moored at dock. But then the goat they’ve brought along chews the rope tethering the boat. As the boat drifts from the dock an even worse calamity ensues when an escaped killer trying to elude police jumps onboard. Despite the intended purpose of the trip, Stan has also brought his trombone along. Luckily, this proves their saving grace. His unsteady playing sends Ollie into a rage and he overpowers their unwanted guest. When the police chief arrives to proclaim the boys heroes, he makes the mistake of asking how they did it. “Well, it was like this,” Stan responds and once again, “music” Laurel-style fills the air. The scene fades to the film’s finale as the now bruised police chief—a bent horn wrapped around his body—leads our momentary heroes off to jail. It’s an amusing story, one with a lighthearted message about the power of music and sound to influence the human spirit. Of course, no physician outside film fantasy has ever diagnosed a case of hornophobia. But what is not fantasy is the growing recognition in the medical profession of the potential therapeutic benefits of sound and music. For just as the cacophony of Oliver Hardy’s world reveals the language of frayed nerves, the rhythms and tones of great music may equally evoke a universal lexicon of healing moods and emotions, dreams and reflections. In general, music (and non-musical sound) is linked to a host of measurable changes in body function. Music can relax or energize, release anger or mask pain, cause muscles to tense, change skin temperature and improve circulation and cardiovascular function. This knowledge is being put to use in hospitals and other health care settings as a component of treatment for a range of health conditions. To reduce the stress of surgery, for example, or ease birthing; as a relaxation aid in massage, physical therapy and counseling; to treat certain neuro-muscular disorders; stimulate communication with patients who have lost the ability to speak; and to benefit stroke, burn and cancer victims. Think about music as a kind of ordered tension in nature. This musical tension exists in a dynamic equilibrium of rhythms and tones, an inner physiologic harmony ever renewed and resolved in the searching flow of notes and beats. These shifting patterns of sound invariably find their vibratory echo in both body and mind. “Music,” as Claude Debussy once said, “is the arithmetic of sounds as optics is the geometry of light.” Music therapy represents the applied science of this natural phenomenon, an attempt to discover practical ways to use auditory effects to promote health and a sense of well-being. Music therapy complements or intersects with mind-body techniques such as guided imagery and meditation, which reorient our psychological perceptions, to create a positive physiological effect. There is scientific evidence that such imaging rituals, which focus the mind into a state of deep awareness and relaxation, may improve immune and cardiovascular function, alter brain waves, reduce levels of stress hormones and sharpen concentration and creativity. This deceleration of thought finds its biochemical translation in increased stimulation of peptides and endorphins, the body’s own pharmacy of natural pain killers and pleasure-producing chemicals. In one controlled study, for example, patients admitted to a coronary care unit who used music and relaxation therapy showed statistically significant improvements in heart rate, blood pressure and anxiety levels (as well as fewer complications) compared to patients not receiving the therapy. In other studies, researchers found that early musical training actually changes and modifies intelligence, with over half of children tested showing an increase in their spatial IQ. Like aerobic exercise, continuous rhythmic patterns in music increase the body’s endurance and strength. In this way, music therapy has proven very effective in physical rehabilitation and in work with Alzheimer’s patients. By changing the rhythmic patters at different times of day,” Campbell reports, “you can prolong concentration, enhance physical strength, deepen and relax as well as sleep better, naturally. Music therapy has also proven especially useful in aiding recovery after surgery. For two days prior to surgery, for example, a patient might listen to specially chosen music, such as a selected tape of slow Baroque music, as he or she says to themselves, “I am recovered, I am doing well, I am moving back to my normal, healthy self.” When that music is played in the recovery room, it helps the patient to reorient and feel reassured by sounds that are not only familiar but associated with healing. A study, in fact, completed by Dr. Ralph Spintge, executive director of the International Society for Music in Medicine, found that 97 percent of nearly 60,000 patients in peri- and post-operative phases reported that music aided their recovery. In many cases, music immediately prior to regional surgery, normally a very anxious time, helped patients relax enough to reduce the amount of administered anesthesia. One effective technique to recharge is to listen to a short audiocassette tape that first takes the listener into a relaxed, calming state of mind, and then gradually picks up, becoming a little brighter and more active as the sound travels forward to a stimulating conclusion. Campbell reports some businesses have even begun to provide sound areas where such recordings are available for use during breaks. The Institute for Music, Health and Education also promotes innovative programs in the therapeutic use of non-musical toning, humming and other vocal techniques to release sound from the body. 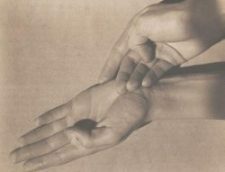 Campbell describes these sonic methods as a way to “massage the body from the inside out.” He recounts the story from the 1970s of a group of French Benedictine monks who were suffering a malaise of group fatigue and depression. Their condition had stumped several specialists until Alfred A. Tomatis, M.D. the world’s leading researcher in psycho-acoustics, diagnosed the monks’ enervated state as the result of eliminating several hours of Gregorian chants from their daily schedule. In effect, the chanting, which most outsiders would have found exhausting, had been a way for the monks to unconsciously keep their internal motors primed. When they returned to their chants, their health problems were resolved. In fact, Dr. Tomatis’ work is responsible for much of the current direction in music therapy. In the 1950s and 1960s, Tomatis did pioneering research in the way inner womb sounds influenced development of the brain, language, memory and learning. This research led to “electronic ear” technology that is used to increase the ear’s ability to focus, discriminate and listen more effectively. Dr. Tomatis’ work has been enormously influential in spawning various sound-based technologies to treat such conditions as dyslexia, autism, listening dysfunctions and attention deficit disorder. “Tomatis has shown that the ability to listen is quite different from the ability to hear,” Campbell observes. “Listening means that we are focusing our auditory attention. Helen Keller was, in fact the best listener of the century. The listener knows how to shut down the unneeded auditory information. Everyone is familiar with the experience of tuning out, pretending to listen when our minds are really somewhere else. That is the mind making a decision to change its acuity for auditory perception. “Think of the ear as a psychologically regulated instrument and realize that you can change the way you listen to the world,” Campbell says. “You can develop listening habits or techniques that open the door to deeper levels of auditory perception.” In other words, effective listening, which is really what disciplined mind-body techniques such as meditation and guided imagery are all about, is the beginning of awareness and wisdom. Undoubtedly, modern music therapy and the science upon which it is based is only the prelude to a future of ever more impressive discoveries of the healing ways of music and sound. An earlier version of this essay was originally published in Nightingale-Conant’s Insight magazine (No. 119).